Top this tart with fresh fruit, and glaze with apricot jam to keep it sparkling. 38 mins. to 46 mins. 3 hrs 43 mins. to 4 hrs 1 mins. one 9" tart, 6 to 8 servings. To make the crust: Whisk together the flour, sugar, and salt. Mix in the butter until evenly crumbly. Add the egg yolk, mixing till the mixture holds together when squeezed. Press the dough into a 9" tart pan, pushing firmly up the sides. Prick the crust all over with a fork. Chill in the freezer, uncovered, for 15 minutes or so, while you preheat the oven to 375°F. 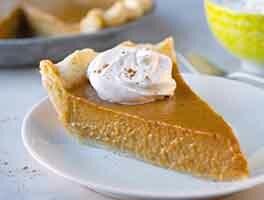 Bake the tart crust for 15 to 20 minutes, until lightly browned around the edges. Remove from the oven. To make the filling: Mix the softened cream cheese with the sugar until well blended, making sure to scrape the sides and bottom of the bowl. Mix in the eggs one at time, then the cream, Fiori, and zest. Pour the filling into the baked crust. Reduce the oven heat to 350°F. 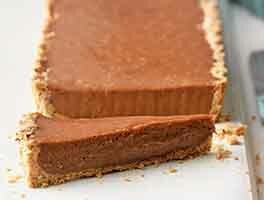 Bake for 20 to 25 minutes, till the tart is nearly set; a small spot in the middle will remain soft-looking. Remove from the oven, and cool at room temperature for 1 hour; then refrigerate till ready to serve. Just before serving, top as desired with fresh fruit, and brush with apricot jam that's been thinned with water, heated gently, and strained to remove the solids. Yield: one 9" tart, 6 to 8 servings. For a thinner crust, bake in a 9" square tart pan, using the same baking directions as given above. For a delicious early summer topping, place fresh whole hulled strawberries upside-down on top of the cooled tart. Made this several times, varying the fruit to what is in season. Delicious every time! I baked this as a surprise for my nephew's birthday...he was blown away. Even my much-better-baker-than-me son was impressed with both the presentation and the flavor. I used strawberries, kiwi, blackberries and blueberries. The apricot jam glaze gave it a very professional appearance, my only change was to not use the zest in the crust. Thank you for this wonderful tart recipe. I would have given it 5 stars if it baked and served itself! Just kidding. . It was so delicious made per recipe directions with one exception in that I added 1/8 of a teaspoon of Fiori de Sicilia because a very little goes a long way for me. I wouldn't skip it though because it "makes" the filling. Making it again tonight for tomorrow night which is killing me, but can't get all of the lumps out of the filling even doubling the beatings and scraping from the other night. I would not let that stop you from making this either. Superbly yummy. This recipe came out perfectly.. To rave reviews. I used grated lemon peel from one lemon and 1/2 tsp vanilla in the filling. The crust was tender and crunchy. I used kiwi,blueberries ,and raspberries and apple jelly for the glaze. I will use this one again. I made this delightful tart today and it was fabulous! The crust was perfect and flavorful. The filling was creamy and combined with the fruit perfectly. (I was a little busy today and found it easy to walk away for a few minutes here and there to attend other matters.) I chilled the crust in the fridge for about 30 minutes instead of the freezer. When raspberries are plentiful in the garden, I think they would make a nice addition. I chose to add grated lemon peel and the fresh flavor is still on my tongue. 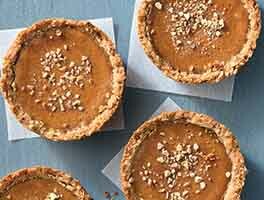 Very easy tart to prepare with lots of room for variations with the toppings. Today I happen to have kiwi, mango, and red grapes. I think nearly any combination of fruits in their prime would complement the cheese filling. A little creativity goes a long way for presentation. One note. 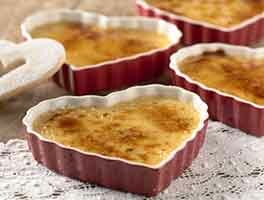 Whenever I bake any cheese cakes or tarts ... Letting the flavors develop by making a day or two ( preferably) ahead works wonders. For tarts just top with fruit the day it's served. I made the crust but used a rhubarb compote for filling. I also used KA white whole wheat flour and the mini tart pans. The crust was easy and tasty, I will definitely use the receipt for fruit tarts again. 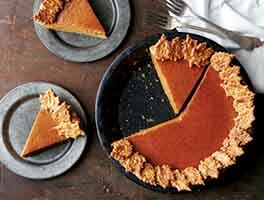 I tore this tart recipe out of my last KAF catalog, and made it this week. What a hit! The flavor is delicious - I definitely recommend using the fiora di sicilia. 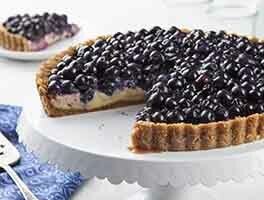 I used all blueberries for the topping. Will bring this recipe out again soon for use with raspberries. For my tart pan, it seemed like the crust recipe was slightly short. Excellent!!! I used powdered sugar instead of the glazing sugar. I substituted 3/4 t. vanilla for the Fiori di Sicilia, omitted the citrus peel and did not add water to the apricot jam (The jam was plenty runny enough by heating it in the microwave and omitting the water kept the tart from getting soggy.) I used heavy cream, not half and half. I also used a 10" tart pan which worked fine. I am anxious to try this recipe with peaches, strawberries and other summer fruits. 'May use a fruit liqueur instead of vanilla. I'll enjoy experimenting with this great recipe!